When John and Claudia Berry learned of the “Today. Tomorrow. Forever.” campaign to grow our Community’s Endowment, they immediately knew they wanted to contribute. 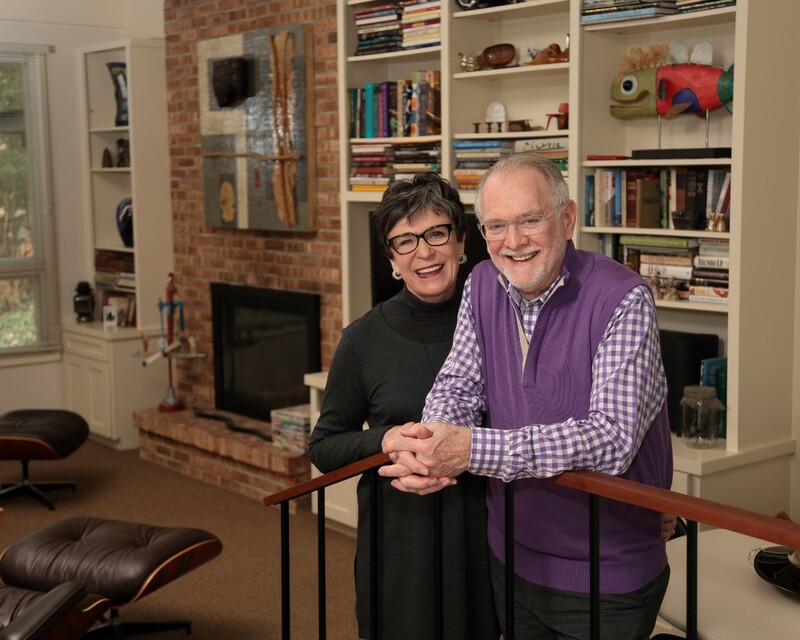 In 2016, they established the John and Claudia Berry Fund, an unrestricted fund that’s part of our Community’s Endowment. “We like to connect people and ideas to make a positive difference. The Community Foundation is a natural connector in Holland/Zeeland, often bringing people together to address community issues, and we resonate with that. The “forever” aspect is really appealing to us,” said John. “This is about looking toward the future and the greater good of the whole community. John and I aren’t always going to be here, but we want to ensure that there are resources available to invest in solutions to community issues as they arise,” said Claudia. Over the years, John and Claudia have been quiet influences in many local efforts. 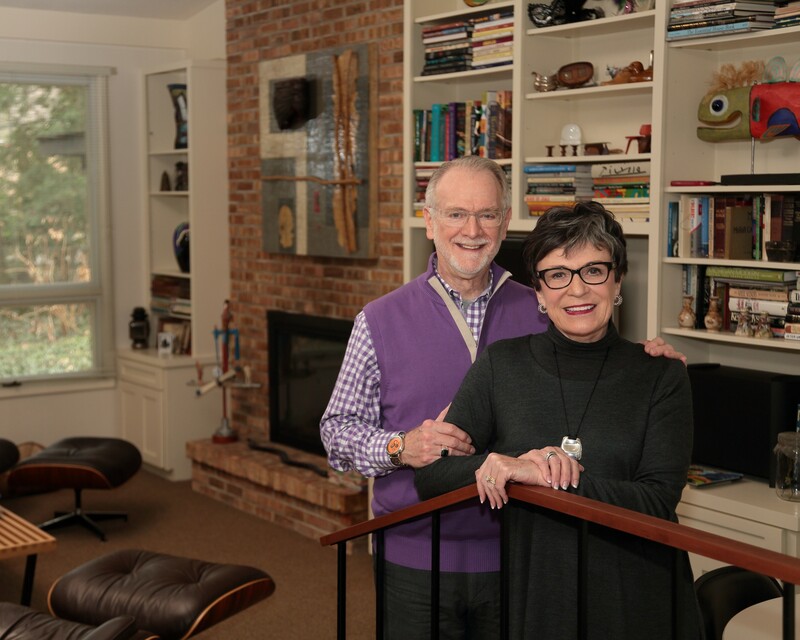 John and Claudia are fierce advocates for the arts, education, and women’s and children’s issues. Claudia founded the regional Lakeshore ATHENA award program as well as Regional Arts. John was the founder and first president of both a national environmental graphic design group, SEGD and locally, Design West Michigan. He is a past board member of New North, GRAM and Oxbow. Claudia has served on many local nonprofit boards, including Saugatuck Center for the Arts, Muskegon Museum of Art and Ottawa County Work Force Development. Additionally, she is a past board chair of Tulip Time, the Boys and Girls Club, Center for Women in Transition, and the Holland Chamber of Commerce. “Giving back has been a big part of our lives. We feel very strongly that you should work to help a place be better because you were there. Giving our time has never been a question,” said Claudia. “We’ve always felt that if we can help someone in need, we want to do that,” added John. From helping launch the varsity soccer team through fundraisers when their children were at West Ottawa, to their many years of board service, there’s been one common theme: passion. “When you’re passionate, community involvement comes naturally,” said Claudia. Now married for fifty years, the Berrys first met in college. They moved from Indiana to the Detroit area while John obtained his Master’s Degree at Cranbook Academy of Art. When their children were in middle school, John was recruited by Herman Miller and they’ve been here on the lakeshore ever since. Claudia had a successful 30-year career in the local banking industry, beginning as a part-time teller and retiring from the industry as a Vice President. John spent sixteen years with Herman Miller prior to doing consulting work and later working for Kendall College of Art and Design. He continues to live out his passion in his current role as Director of Design Thinking at Grand Valley State University and founding the new GVSU Design Thinking Academy. “We can’t think of anywhere we’d rather be than here,” said Claudia. One of their favorite things about West Michigan is its collaborative spirit. “The private/public collaborations are really unique to our area, especially within the arts, from Tulip Time to ArtPrize and so much in between,” noted John. “We’ve seen the Foundation’s growth, share its vision, and are passionate about the long term. Holland is a special place and we’re happy to support its future. It’s the only place we’ve ever lived where when a need occurs, people rise to the occasion, collaborate, and find a way to take care of it,” said John.